The FREE Chamonix valley ski bus stops within a few hundred metres, so you can get to the other resorts of Les Houches, Grand Montets and Le Tour easily. 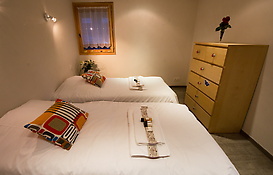 On the lower floor is an ensuite twin bedroom plus a double sofa bed in the entrance hall. 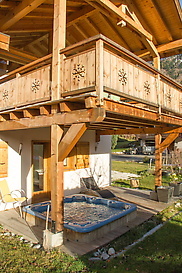 A Jacuzzi entices you outside on the lower terrace. 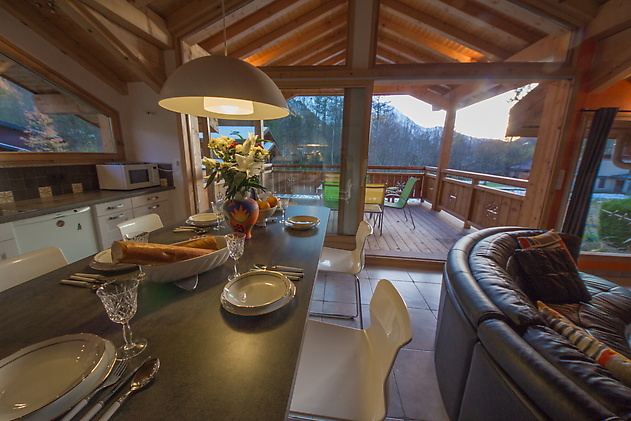 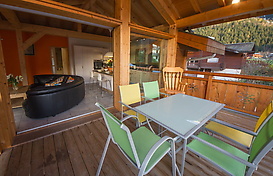 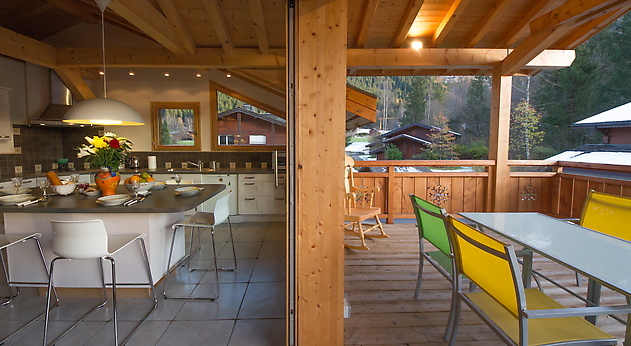 Well-equipped open-plan kitchen, which leads out onto the covered decking area where you can enjoy views over Mont Blanc, wine in hand, as the sun sets. 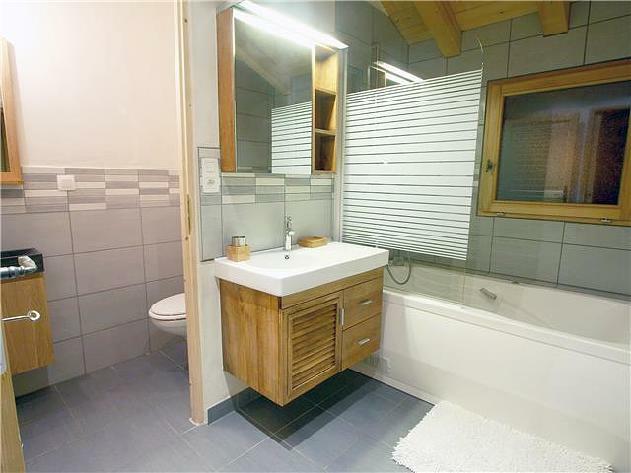 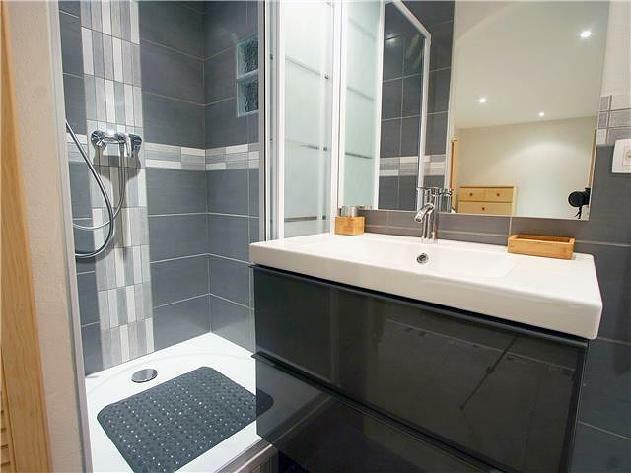 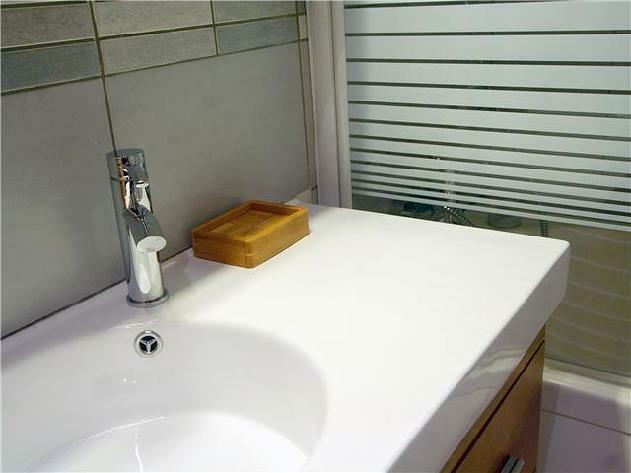 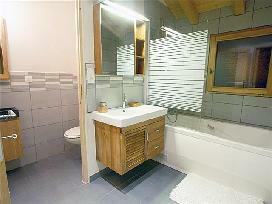 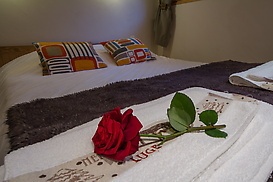 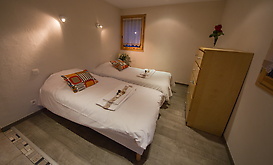 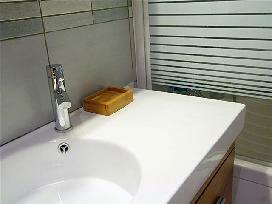 The double bedroom has an ensuite bathroom with a hydro bath, and there is a separate toilet on this floor. 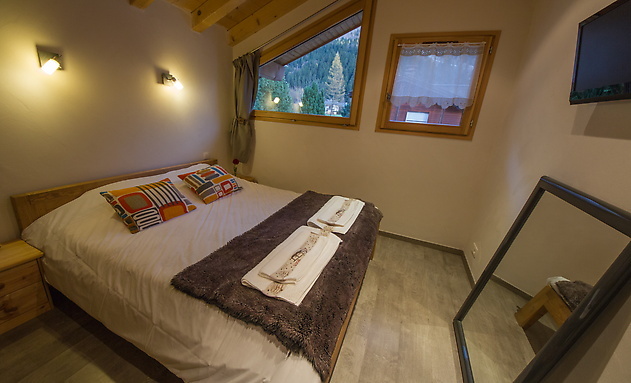 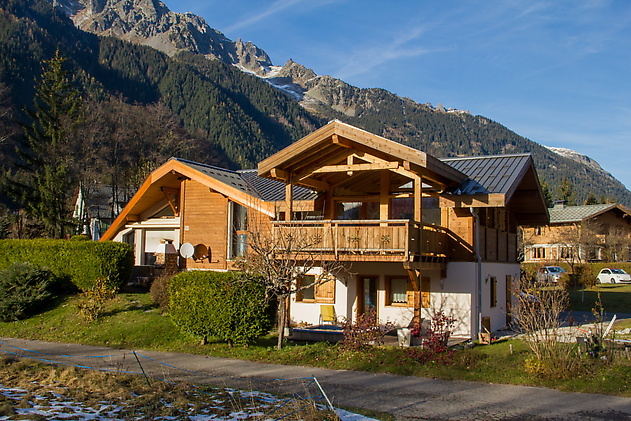 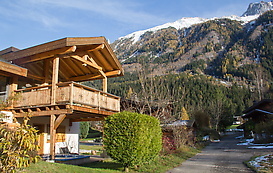 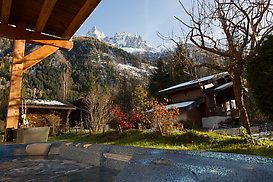 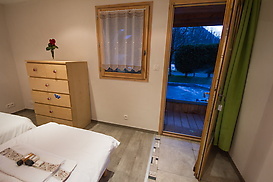 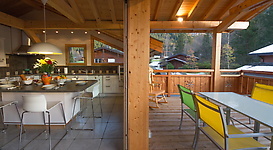 Click for Prices and Availability for Chalet Shanah now. 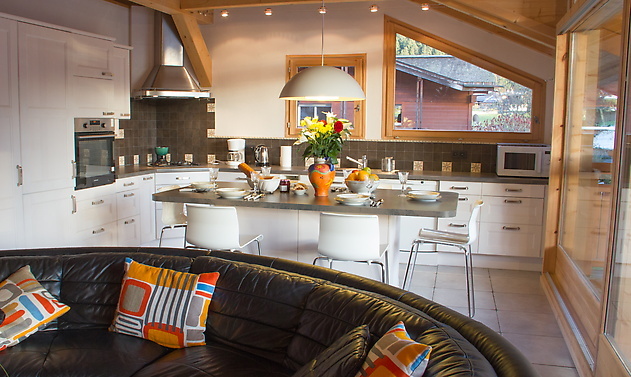 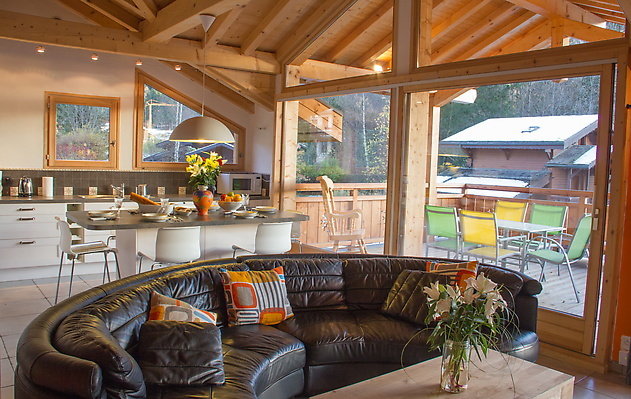 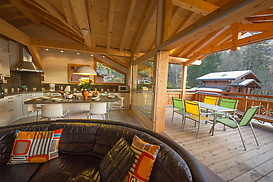 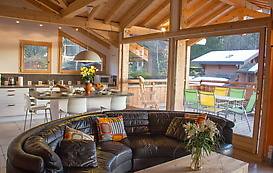 Chalet Shanah is a luxury catered ski chalet ideal for up to 6 guests fully equipped with luxurious facilities. 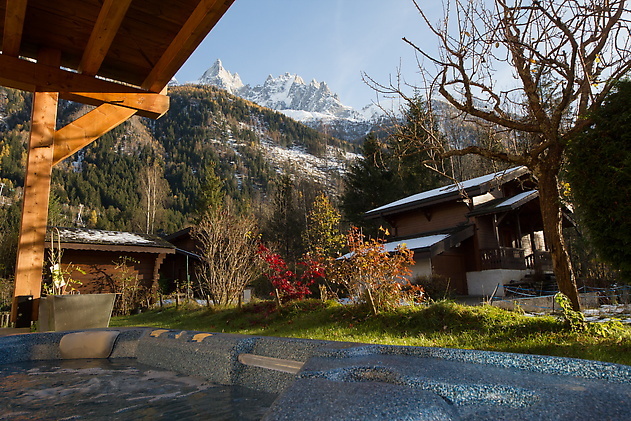 Read more and plan your next ski holiday.